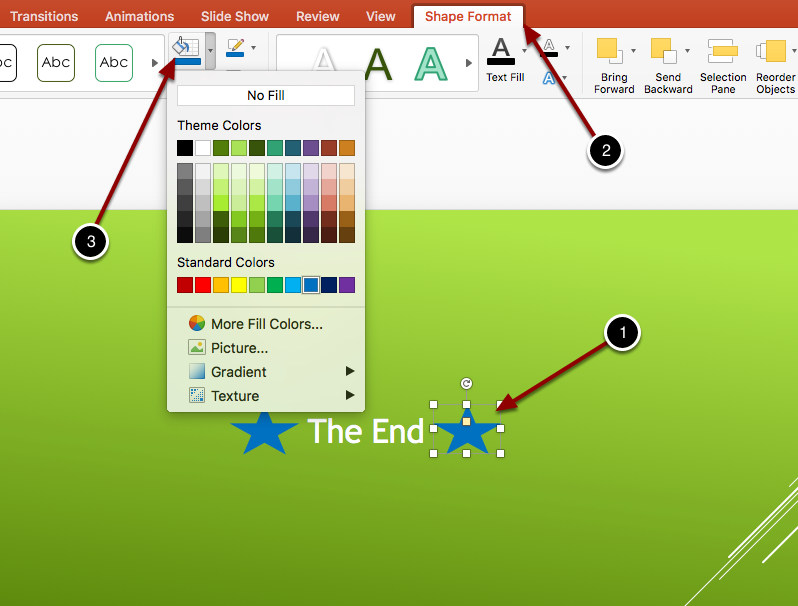 Below are instructions on how to insert and edit shapes in Powerpoint. 2. Click on the Shapes option. 3. Select the star shape. 2. Select the Shape Format tab. 3. Click on the Shape Fill option. Prev: How Do I Add Animation To A Shape?